We have a couple of exciting things happening today (6/23)! At 1:00pm EST, we will be releasing Vanesa R. Del Rey's HEART EATER limited edition print sets. Each of the 25 sets contains three signed/numbered 13x17" giclee prints and an original drawing, all in a custom printed envelope for $150. The prints will be in the OOSA Print Shop HERE. 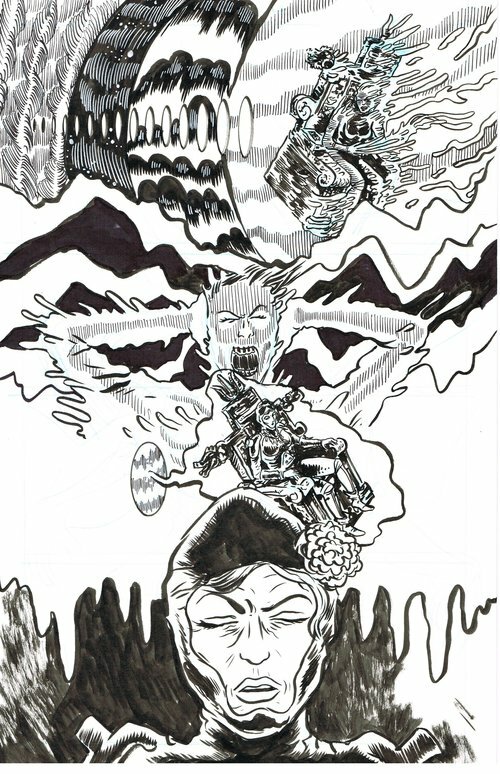 Then at Midnight, we will be adding over 100 pages of Alexis Ziritt's original art for TARANTULA and SPACE RIDERS: GALAXY OF BRUTALITY to the store! Those pages will be listed in the "Newly Added" section HERE. And don't forget that we only have limited quantities of Paul Maybury's A NEW TERROR ashcan and PLAYBURY sketchbook, so hurry and grab your copy before thy're gone!